Enjoy our nature based facilities around our Krabi hot spring hotel, from different hot spring pools to organic garden & fruit orchards. 5 sets Hot Spring Pools with hot, warm and cool water can accommodate up to 9 groups / 60 people at a time This hot spring pool facilities targets day spa guests with inclusive spa and meal packages and resort guests. Large hot spring pools can accommodate up to 13 groups maximum 130 pax per time. This hot spring is targeting at external travellers with limited time & budget who simply look for access to the hot spring. 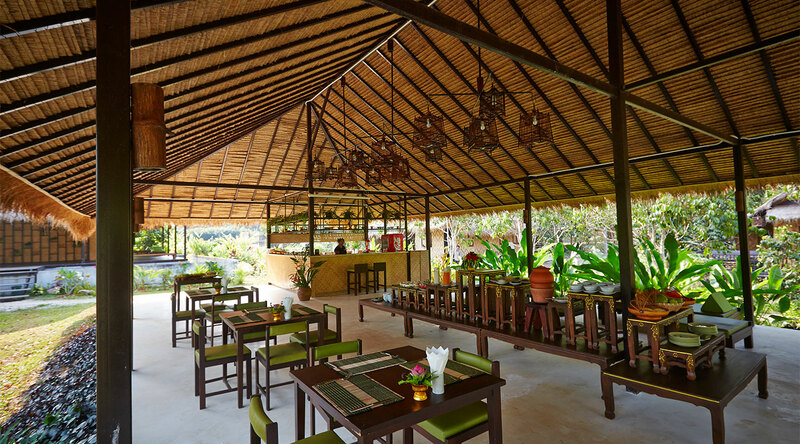 This restaurant serves local organic food with fresh seasonal ingredients from our garden and local communities. This open air lobby serves a place to welcome our guests as well as a communal area where guests can socialise, read, practice yoga and relax. 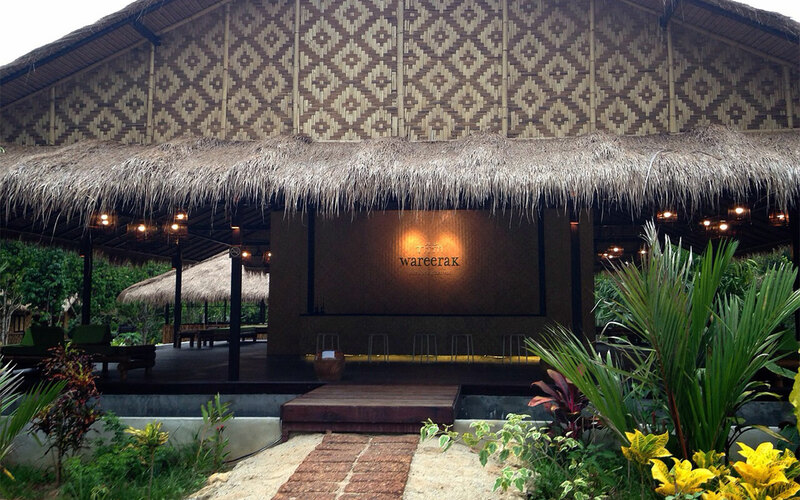 Enjoy a wide variety of tropical plants, flowers, fruits and herbs here at Wareerak. Feel free to pick your own mangosteen, durian, rambutan and mangos from the trees depending on the season you visit. Explore the area with our provided bicycles free of charge.